(Engine NO)? (ESN)? 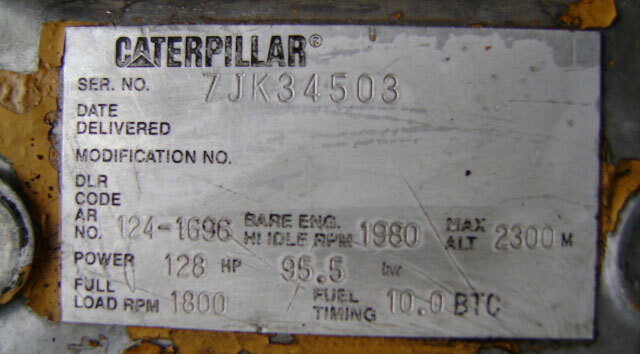 (CPL)?You could find Engine NO, ESN and CPL on the name plate of the engine. For CUMMINS engines, we could figure out the major maintenance parts so long as the customers provide us with the engine’s ESN and CPL. For VOLVO, PERKINS and CATERPILLAR engines, the information such as engine’s model, ESN, Power, etc. must be provided to us to figure out the major maintenance parts. 3?There is a name plate on the outer surface of turbocharger. On the name plate, there is the number, SN, type of turbocharger. Different brands of turbocharger have different turbocharger numbers, e.g., there is a 7-digit number for HOLSET, 6-digit number for SCHWITZER, but for GARRETT, there is a 6-digit number followed by dash and another 4-digit number. 4?The turbocharger accidents are mainly caused by lubrication, such as oil hysteresis, energy saving, oil lacking or impurities in lubricated oil. Secondly, they are caused by the foreign substances entering Compressor Wheel or turbine wheel. Form the good maintenance habit, especially air filter, lubricate oil quality and lubricate oil filter, etc. The good maintenance is very important because the rotating speed of turbochargers is very high. Proper operation and preventive maintenance could guarantee the lifespan and good performance of turbochargers.